Aurélian Bayard Chedjou Fongang (born 20 June 1985) is a Cameroonian footballer who currently plays for Lille and the Cameroon national team. 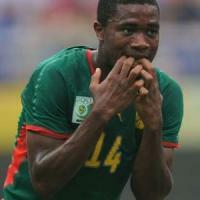 He is a Cameroon international and has been selected in the final 23 man squad for the world cup. Chedjou is also a free agent this summer so interest is thaught to be high in the Cameroon international, with Newcaslte reportedly being a likely destination. A graduate of the Kadji Sports Academy in Cameroon, where Samuel Eto’o also hails from, who first went to Spain. Later at the academy at AJ Auxerre, he served as a central defender but is better known as a defensive midfielder. Joined Lille in 2007 and a Ligue 1 regular since.